What really makes me effective at helping my clients is who I am and how I work. I’m intuitive. I pick up on things that you can’t see. I see you in ways you can’t see you. I see patterns that you don’t see. And, I see obstacles that you don’t recognize. My intuition is what makes me a great coach. I cut to the chase. I get down to the heart of the matter very fast. I ask direct questions, provide direct insights and reflect back to you what I see in very clear terms that may not be what you “want” to hear, but it is exactly what you “need” to hear. I push. Like any effective athletic coach, I call you out when needed and really push you to reach your true potential. I am not the expert – you are. I help you find your own answers, not mine. I am here the whole time, and push you to get there as quickly and painlessly as possible, but it’s your process. I’m on your team – always. I’m in this with you. I will challenge and push you but I will also support you and be with you throughout the entire journey. I am your coach, your sounding board, your accountability buddy, your advocate, and your cheerleader. I’m quick. You will experience change very quickly (most of my clients feel a lot better after just our first session). And, once you are ready, you are out on your own. Seriously – my job is to coach you out of needing coaching. Deep connection: I believe that connection is everything in life and accordingly, also in life. Connection to self, connection to others in relationship (romantic, familial, professional, etc. ), within a company, between a company and it’s audience. Clear Communication! : Clear and authentic communication is what leads to all connection. Without it, we are lost. It is my passion in life to help create more connection through increased authentic and clear communication. Authenticity: Connection comes from being authentic – if we are not aligned in our truth, there is no opportunity for connection. Surface-level, salesly and/or false are of absolutely no interest to me. Fog-cutting: I can easily see the fog that is clouding an individual or business’s experience and potential success. I thrive on clearing that fog completely. This also lends itself to my severe sensitivity to and dislike of inefficiency. Clarity: Businesses being clear about their vision and values. Individuals being clear about what they want and need. And most importantly, communicating all of these things clearly! Alignment: Individuals and businesses getting out of their own way, finding their true purpose, gifts, passions and desires and meeting their potential. I started Fogdog Coaching & Consulting as a full-time business in early 2013. I also moved to Maine the same day. Both decisions were the best I’ve ever made. I am deeply passionate about the work that I do and love the variety of working with different businesses and individuals with varying situations, needs, gifts and goals. And I really enjoy working with clients locally in Maine and across the country and even internationally. I absolutely love living in Maine. It is truly where I belong and after years of moving around a lot, I don’t have any plans to leave. Also, if you’ve never been to Portland, you should visit. This is an incredible city. I made the drastic decision to quit my job without a plan and take some time off, during which I did a lot of soul searching and realized I had spent my whole life trying to be the best at everything (best daughter, sister, friend, girlfriend, student, athlete, employee, manager, etc.) and had done a pretty good job at all of them, but I had veered off the path of who I was and what I really wanted pretty early on in life. From there, I was able to really consider who I actually was and what I actually wanted. And the result was the realization that I loved talking to people about their struggles and I loved helping them move forward. I had been doing this forever – with friends, with employees, with peers and even with my bosses. When I was helping others, I was energized and lit up. I had been coaching all along, I just didn’t realize it. And as they say, “the rest is history,” although what an unexpected history (in the best way possible) it became and continues to be. 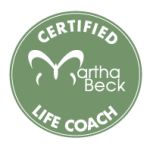 I was guided to places, people and experiences that I never could have dreamed for myself, including training with Martha Beck, which opened up doors, ideas and parts of myself I had cut off long ago. I have connected with myself, my gifts and my purpose in the most profound way and continue to grow and evolve constantly, and I wouldn’t want it any other way. Like so many of my clients, I never could have imagined that this is where my life and career would take me. But I can say with complete confidence that this is better than anything I could have ever dreamed. I absolutely love my work and I am so much more aligned with my purpose, passion, values and gifts. I’d love to hear your story and discuss how I can help.